So, what do I have in common with Oprah and the Maharishi Mahesh Yogi? I meditate every day. And so do millions of other people. A few weeks ago, on Oprah's Next Chapter (Oprah Winfrey Network), Oprah visited Fairfield, Iowa, where thousands of people practice Transcendental Meditation twice each day. Doesn't that sound like a pill worth taking? 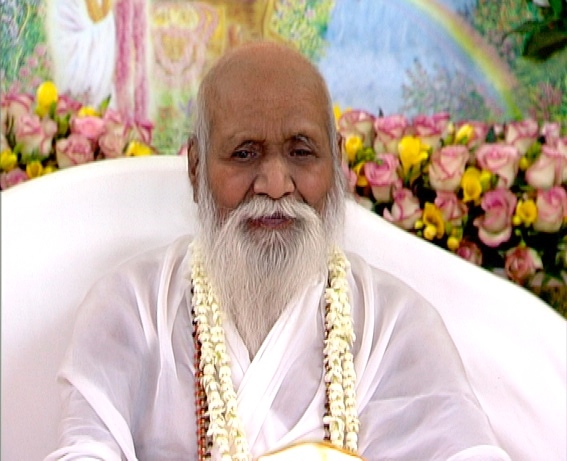 Maharishi Mehesh Yogi brought Transcendental Meditation to the United States in the 1950s. It really caught on when the Beatles became followers in the late 1960s. Many people practice TM, including Ellen Degeneres and Clint Eastwood and over six million others. Oprah does it with her entire staff. I've been doing it for almost forty years. Each TM follower pays a rather hefty fee for the training and is assigned a mantra to 'think' while meditating. But most, if not all, of the good of meditation is available to everyone without paying a fee or attending a class. Anyone can meditate. It is free. No need to join anything. It does not require any special clothing or equipment. You don't have to contort your body into any painful position. All you need is a quiet, comfortable place to sit down and a bit of time without interruption. Ready to try it? Find a comfortable place to sit - on a chair, on the bed, or the floor - with good support for your back. Now, close your eyes and take a few deep, slow breaths to relax. Then, concentrate on your breath - nothing else, just your breath. Try to breathe deeper and slower and more quietly with each breath you take. Think about all the fresh air that is rushing in to bring oxygen to your body and brain. Fill your lungs as much as you can. Now slowly - as slow as you comfortably can - let that used up air empty from lungs. Keep going until it is all gone. Now you're ready to bring in some new air. That's it! As you sit there breathing and trying to concentrate on nothing but your breath, your brain is going to try real hard to distract you. You'll suddenly realize that you are thinking about what you need at the grocery store, or something else you need to take care of. This happens to everyone! Don't worry about it. Just recognize that you got off track and return your thinking to your breath. This gets much easier with practice. You don't need to do this for a long time. Followers of TM aim for twenty minutes twice a day, but that seems like a long time to beginners. Try it for five minutes. If that's too long, try two minutes. Then you can slowly work up to fifteen or twenty minutes - whatever feels right for you. That is all there is to it! The idea of meditation is to let your mind have a break from the constant barage of thoughts running through it. That can also be accomplished through the Zen idea of mindfulness meditation. If you find sitting meditation difficult, this might work better for you. The idea is to bring your full attention to whatever you are doing - eating, sweeping, washing dishes, or mopping the floor. Even something like fly fishing can do the trick. The key is that you think of nothing but the one thing you are doing. I especially like chopping vegetables into little pieces for soup. Or working in my garden. Think of the concentration required to rake the sand so perfectly in a Zen garden. You'd really have to pay attention to get that right. That's what I'm talking about. Your mind will still try to wander. That's what it is used to doing. When you realize it is happening, just bring it back to the task at hand. That's pretty much what meditation is all about. It has nothing to do with religion. It is not a cult of any kind. You can do it as part of a group. You can do it alone. You can even do it while standing in line at the market, caught in a traffic jam, or riding on a bus. You're still aware of what is going on around you. You don't even need to close your eyes. Just take slow, deep breaths and concentrate on that air moving in and out of your lungs. Try to find a couple of times in your day that you can set aside for meditaton. Your brain and nerves will thank you for it. Serendipity! I just watched Oprah's show about the Iowa town last night, followed you on Twitter tonight and found your blog. I guess the universe is showing me the way to relaxation.